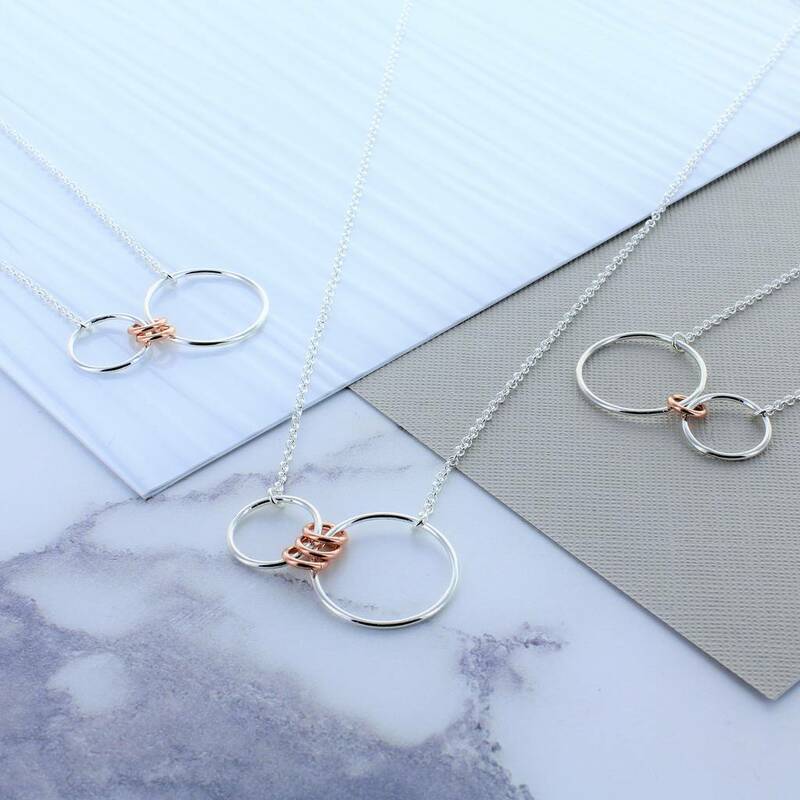 The sterling silver and rose gold filled infinity charm necklace would be a perfect gift for any age. The subtle personalisation is the number of link rings that can be added. The small link rings represent the number of children in the family, the larger rings represent the mother and father. Additional rings can be added later, by returning to the maker. 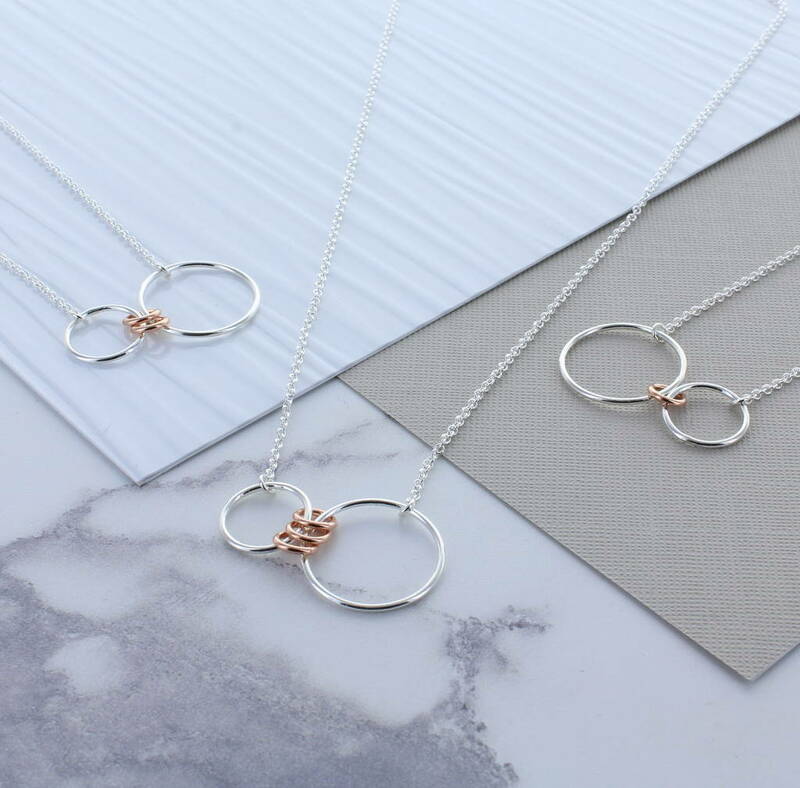 The silver and rose gold circles sit centrally on beautifully delicate sterling silver trace chain. 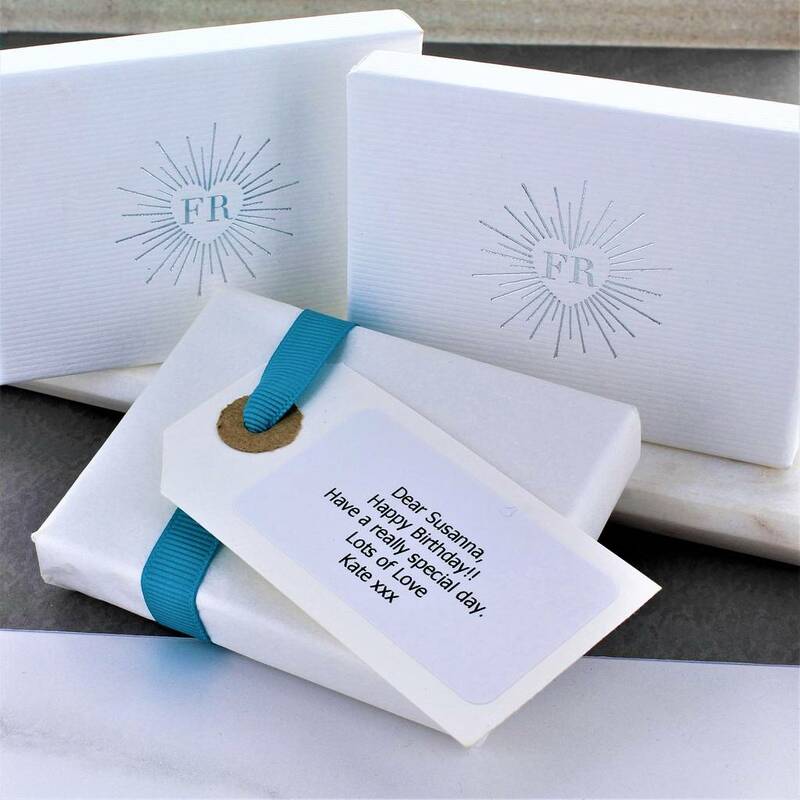 Each piece arrives in a striking White gift box with a contrasting silver logo.